Home News Frenchman Roussel Bursts Into Bahrain Opening Round Lead As Scotland’s Kay Lands First New Season Ace. Frenchman Roussel Bursts Into Bahrain Opening Round Lead As Scotland’s Kay Lands First New Season Ace. 1 month ago by Bernie McGuire Comments Off on Frenchman Roussel Bursts Into Bahrain Opening Round Lead As Scotland’s Kay Lands First New Season Ace. Robin Roussel, denied victory a couple of weeks ago in Oman, launched another spirited attempt to get into the winners’ circle in his first season on the MENA Tour by Arena when a sparkling seven-under par 65 opening round gave him a one-shot lead at the Troon Series – Royal Golf Bahrain Open on Monday. 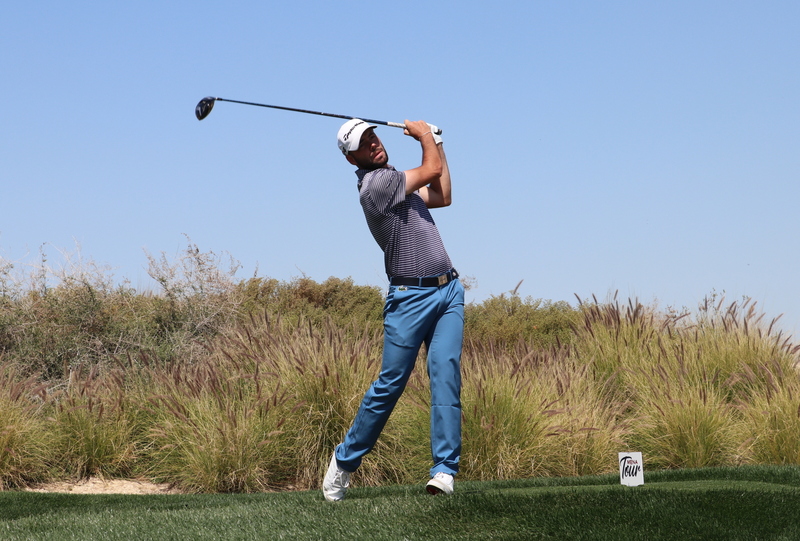 At Ghala Golf in Muscat, the Frenchman shot a brilliant final-round 63 in windy conditions, but that wasn’t enough to beat a rampant Nick Marsh. But at the demanding Colin Montgomerie-designed Royal Golf Club in Manama, Roussel set the pace with his 65 and was one ahead of Joshua Grenville-Wood (66) of England. In-form Englishman Harry Ellis, who closed with rounds of 64 and 66 in Dubai Hills last week, and Germany’s Stefan Still were tied for third place at five-under par 67. 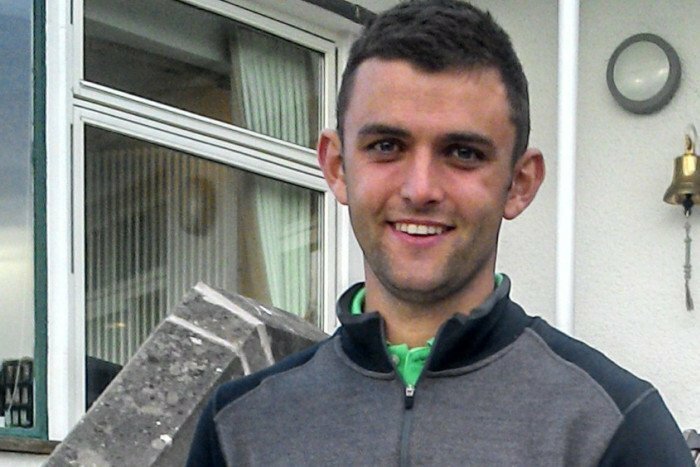 Scotland’s Daniel Kay (69) made the first hole-in-one of the 2019 season of the MENA Tour by Arena. He holed his tee shot on the 213-yard, par-3 second hole. In the Amateur’s category, Dubai-based 14-year-old Josh Hill and England’s Jack Floydd were tied at the top after rounds of two-under par 70 each. The Royal Golf Club is known for it’s severely sloping greens, and not many would have expected a 65 leading the tournament. But Roussel, who had only 5s and 3s on his back nine and birdied the five par-4s, said he was never in any trouble. “These greens are some of the toughest that I have seen in my three-year career as a professional golfer. Having said that, I played very well. I won’t say my golf was exceptional, but I did everything well,” said Roussel, who started with a bogey on the second hole and made eight birdies after that. Grenville-Wood has had some good rounds this season but the consistency has been missing and he felt it was because he was trying to put too much pressure on himself to follow one good round with another. After starting with an eagle on the driveable par-4 10th hole, where he landed his drive just 10 feet from the pin, Grenville-Wood made five more birdies and a solitary bogey. “I rarely start with a birdie, so to begin with an eagle was nice and I just kept hitting soft knocked-down shots using the slopes all day,” said the 20-year-old from south London. Hill has impressed everyone on the Tour with his game and maturity on the golf course and Monday was no exception. “I started very well and was three-under par through seven holes. After a bogey on the eighth, I hit a few bad shots and recovered only over the last four-five holes. But the good thing is that I did not drop many shots and finished with a birdie,” said Hill, who has improved to 925 in the World Amateur Golf Ranking from 1,753 in just three events on the MENA Tour. The Royal Golf Club is home to Bahrain’s only 18-hole championship standard golf course and to a par 3 9-hole course, both designed by course architect and golfing legend Colin Montgomerie. The Club is managed by Troon, the leader in upscale golf course management, development and marketing, and was named Troon’s 2013 Facility of the Year, the company’s top accolade. The MENA Tour by Arena is returning to the world schedule after a year of restructuring and will feature 10 tournaments in 2019. It will continue to provide Official World Golf Ranking (OWGR) points, thus making it a perfect pathway for ambitious young professional to the bigger tours, and for the players from the region to qualify for the 2020 Olympic Games in Tokyo.